Wow, that's a lot of clicks! Great work! Thanks! And I just noticed that I have passed Johnater on Top 10 soundtracks without having more clicks than him! WOOHOO! I just got my 400th clck! WOW! How did you get so much dude? I only have about almost 10,000. Thanks, though I now have 450 clicks! That's 50 clicks in a single day! That's the first time that's ever happened! steelersrule12 wrote: WOW! How did you get so much dude? I only have about almost 10,000. IDK, I was once on the soundtrack list and then it all happened. Also, wow, sim, that's a LOT of clicks. 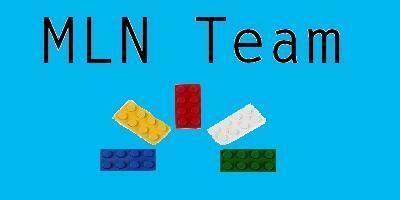 I've been a member of mln for over two years and I only have around 30,000 clicks, lol. BTW, I am beating Johnater! 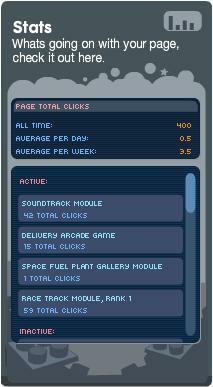 I now have 532 clicks! oh yeah. well i beat ALL of you guys 3000! I have 604. I have an average of .7 clicks a day and 5.3 a week. i now have *DRUMM ROLL* 27085 CLICKS! 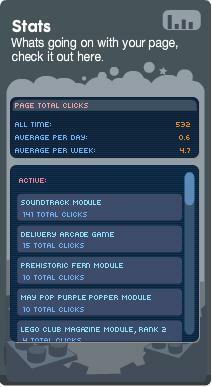 I have a total of 5,584 clicks, and I am Rank 7. Compared to some people, my 5,584 clicks look like nothing. I just don't get how people get so many clicks! My all time is 661, 179 are on my soundtrack. hilegoguy wrote: I have a total of 5,584 clicks, and I am Rank 7. Compared to some people, my 5,584 clicks look like nothing. I just don't get how people get so many clicks! Like over 56,000 clicks (haven't been on in a while). And my soundtrack has like 16,000 clicks. I'm getting like 1,000 clicks per Rank. 661. They haven't gone up in a while, though, because nobody wants to order in my shop. I have 1076. 410 are on my DEM.